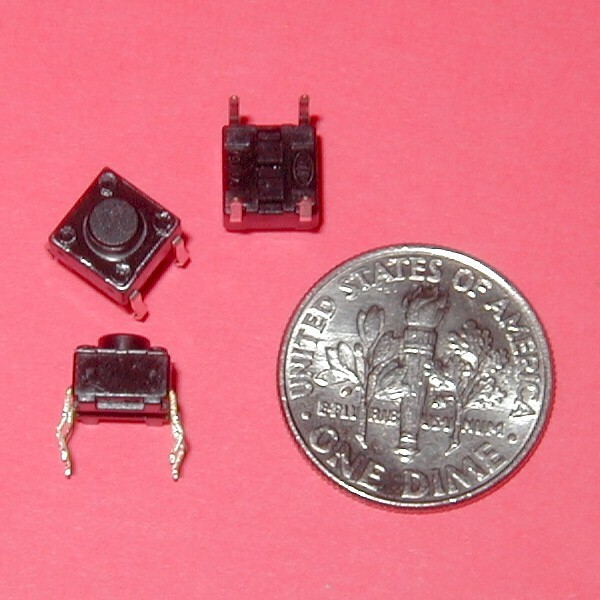 Small 6mm x 6mm square tactile pushbutton switch with flat top. These have ALPS molded into the base and look similar to SKHH series (Datasheet Here). These are nice sturdy switches with a positive click. They are through-hole PCB mount and will snap right into a solderless breadboard. Great for a reset switch or small keypad. There are 4 pins. 2 pins are bonded together on each side. All 4 are connected when the switch is pressed.